My first time over at Ri-Yakitori, and it was to try out their all-new Kozara Ryori set lunch promotion. All this while the Japanese restaurant located at St Giles The Gardens – Grand Hotel & Residences only open from 5pm onwards, and this is the first time they are offering lunch sets. From 16 October 2015 onwards, Ri-Yakitori will be opened for lunch from 12 noon till 2 p.m. on Fridays. Ri-Yakitori is located on the seventh floor of the hotel, with wooden contemporary decor. Ri-Yakitori delivers inventive and traditional takes on Japanese Yakitori. 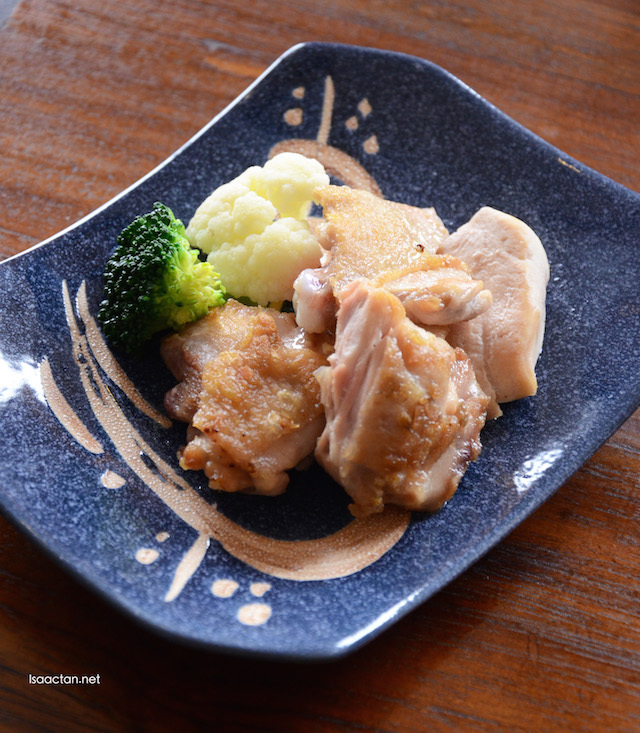 Skewers of chicken, beef and vegetables are served alongside classic Japanese dishes. 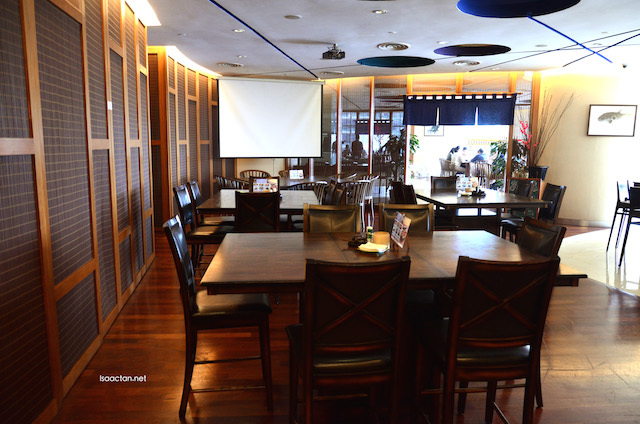 During the weekends, enjoy the bar with a wide range of Western and Malaysian cuisine on the menu. Access to the hotel is via the Gardens Mall. 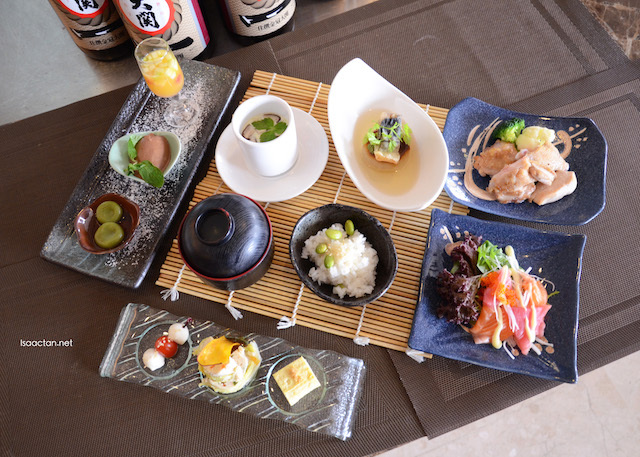 The Kozara Ryori set lunch promotion consists of 7 dishes, from appetizers to dessert at the end. 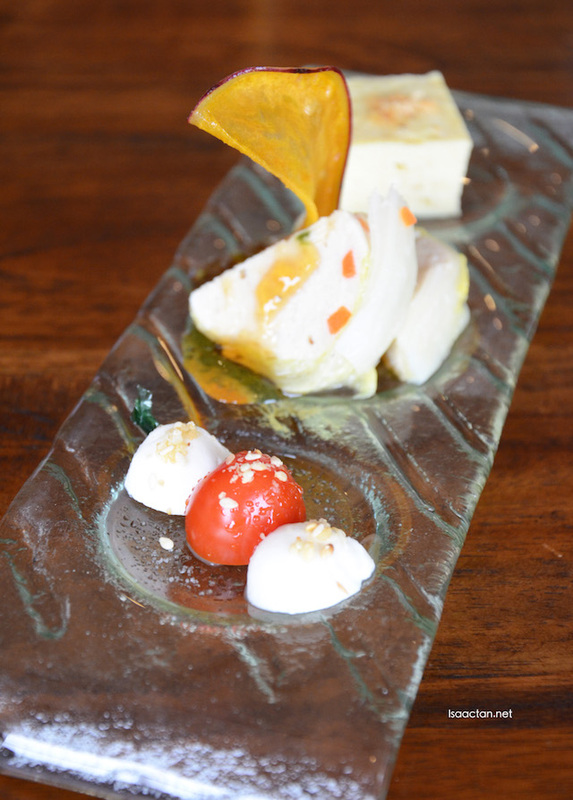 We started off with the Trio Japanese Platter which consists of Japanese omelette, chicken rolled with Chinese cabbage, and tomato mozzarella skewer. Love the omelette, chicken, not so the cheese. Probably my tastebuds aren't too accustom to the very strong flavour of the cheese. Up next, we had a rather luxurious salad dish, the Sashimi Salad with a choice of either fresh maguro and tuna or salmon and octopus. The set we got came with fresh maguro and tuna, which went really well with the sauces complete with ebi fish roe. After so many Japanese sashimi reviews, I'm proud to say I've finally gotten to enjoy these raw offerings. 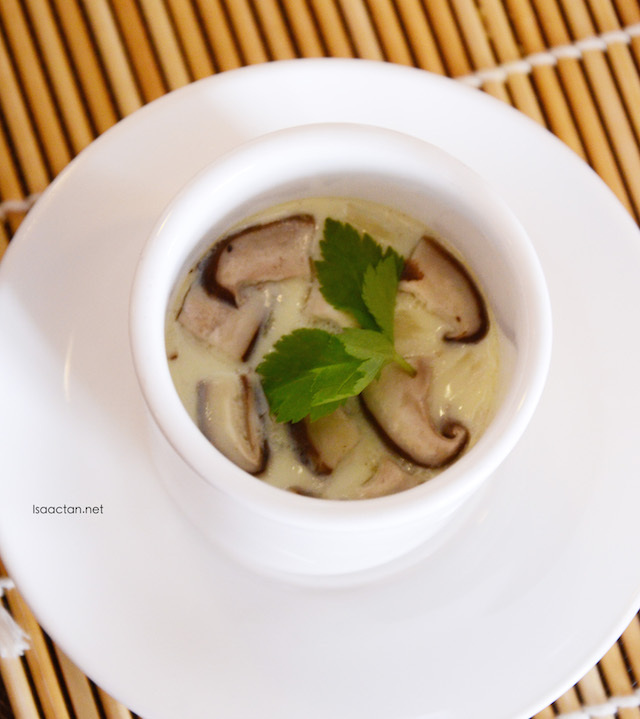 The Chawanmushi served by Ri-Yakitori had simple ingredients inside, namely the mushroom and crab stick. Simple yet smooth and delicious to the taste. A good start before the mains. My kids will love these. I didn't know such a clear and mildly flavoured dish can turn out so nice, as in the case of the Crispy Fish Saba on radish stock soup dish. 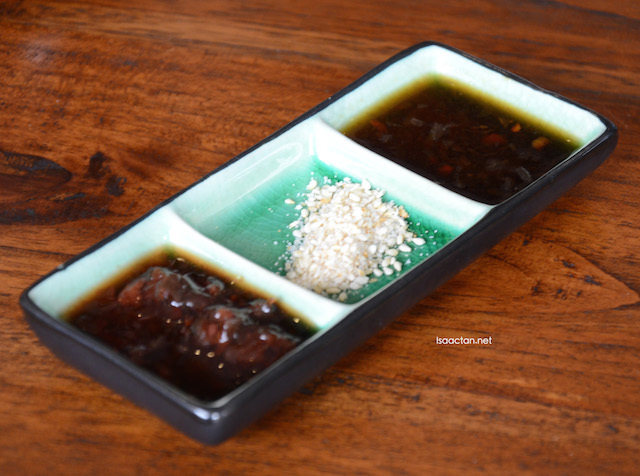 A huge braised radish is placed below the very flavourful fish saba. The serving isn't really big though, but there's a whole lot more other dishes in the lunch set. A poultry dish, we had the Sauteed Chicken next, served on a small platter with a mix of chicken wing, breast and thigh all in one. So fret not if you do not get your favourite part as you get a mix of all! Love this dish, and it just wasn't enough for me. 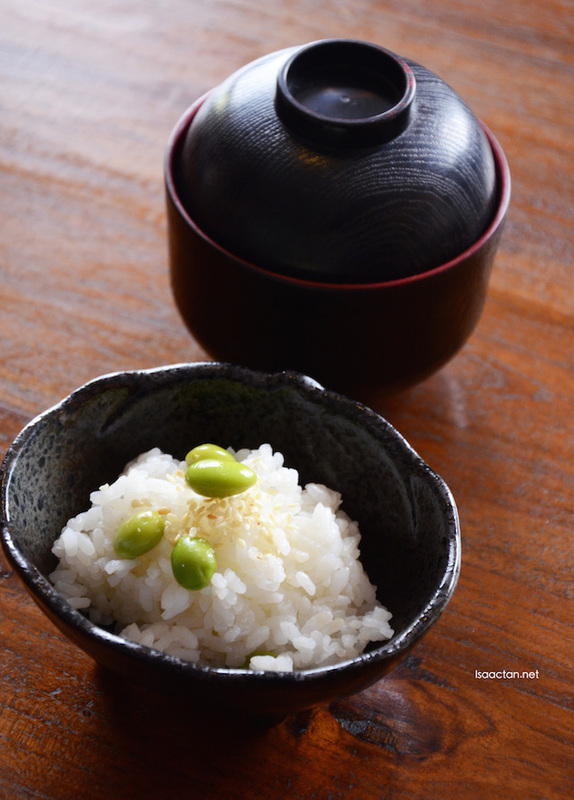 To satisfy big eaters, go for their rice set next, which consists of edamame ghohan, a bowl of warm osumashi soup, and some pickles to fill you to the brim. Now I haven't actually tasted an edamame infused japanese rice before, and it actually tastes pretty good. 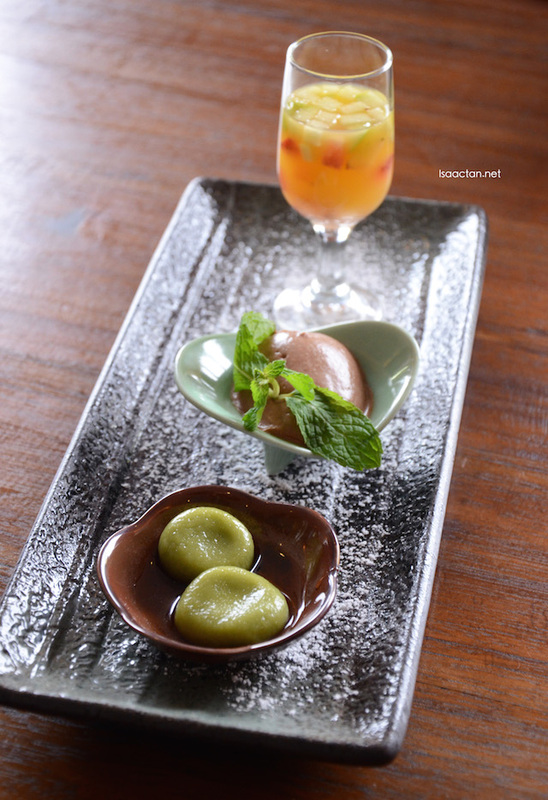 End your meal with some nice desserts in the form of the chewy macha mochi, moist chocolate mousse, and sweet sourish fruit compote with strawberry, kiwi and orange juice. 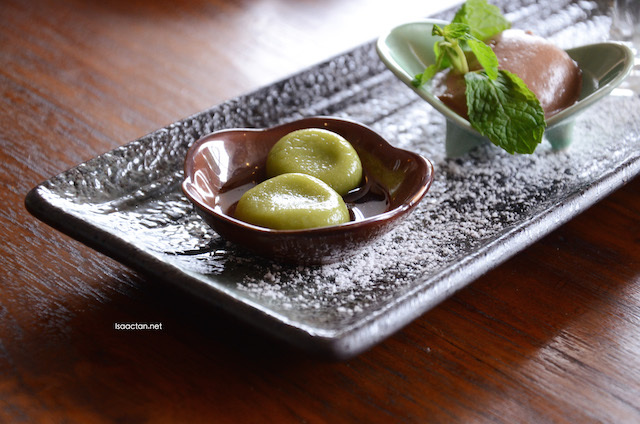 I truly love how the chewy macha mochi tasted in the mouth, a perfect ending, which completes the Kozara Ryori set lunch. I did find the fruit compote a tad too sourish for my taste though. The Kozara Ryori Set Lunch available at Ri-Yakitori, St Giles The Gardens - Grand Hotel & Residences is priced at only RM78 for a limited time only. I was told the chef will actually change the Kozara Ryori set lunch every week to ensure patrons won’t get tired of the same dishes. 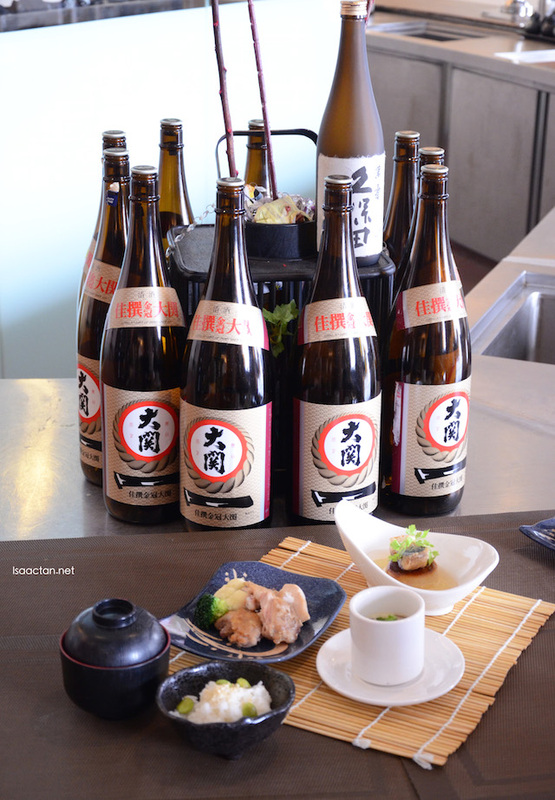 Patrons who dine during lunch period at Ri-Yakitori will enjoy free corkage for wine and liquor. Ri-Yakitori Bar also offers Ladies Day on every Wednesday, where ladies will receive complimentary dessert when dine at Ri-Yakitori Bar and lucky diners will get a chance to win a mystery gift. Join their facebook page www.facebook.com/TheGardensHotelandResidences and you will be entitled for additional limited time special offers from all participating F&B outlets and on-going contests. To make reservations or for further inquiries, please call Ri-Yakitori Bar at 03-2268 1188 (ext. 6323) or visit them at www.StGiles.com. Another awesome sushi entry here! 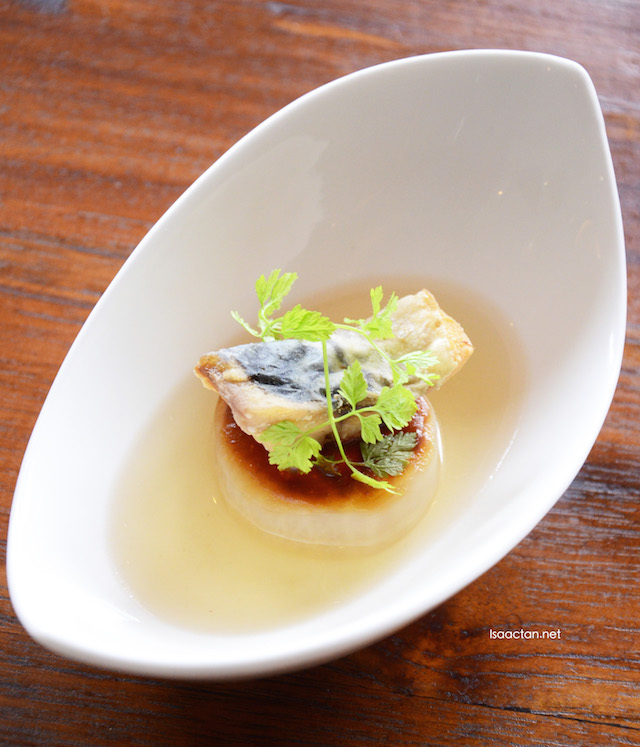 Crispy Fish Saba on radish stock soup is interesting... Wow, the lunch promo only 78 nett+ for this packages only? If we want to add one+, how? More expensive? Goodness! The food looks so appetising. It's not a lunch that working class people can afford all the time. It's only for special occasions, me thinks. I really love the presentation of the food. Looks unique and mades the food looks delicious. wow yummy food and comfort place to dine. Seldom go out now due to haze. Thanks for sharing Isaac! I've been looking for a nice Japanese cuisine lately, this just looks delicious!!! The mochi look nice~~~ is there any other favors??? This look like a bit similar what we have at Sasagawa, how was the taste? Oh mai gawd to that sashimi and mochi!! Looks so delicious!! So gonna carry myself to go there just to get them lol! I feel the serving is bit small but chawanmushi and fish are looking quite tempting. so jealous to you, Isaac that you always enjoy Japanese food by invitation :P You must be a famous food blogger :) Proud of you! Yes.. I saw your sharing the matcha mochi pic haha looks like a really posh place! How good is the sashimi? I stay in The Gardens a lot. But never once go for this. Lol. I usually hit the mall. Got to try this soon. yes even the sauces look interesting eh. can i try that liquor please lol. i think it will be paired perfectly with the food. 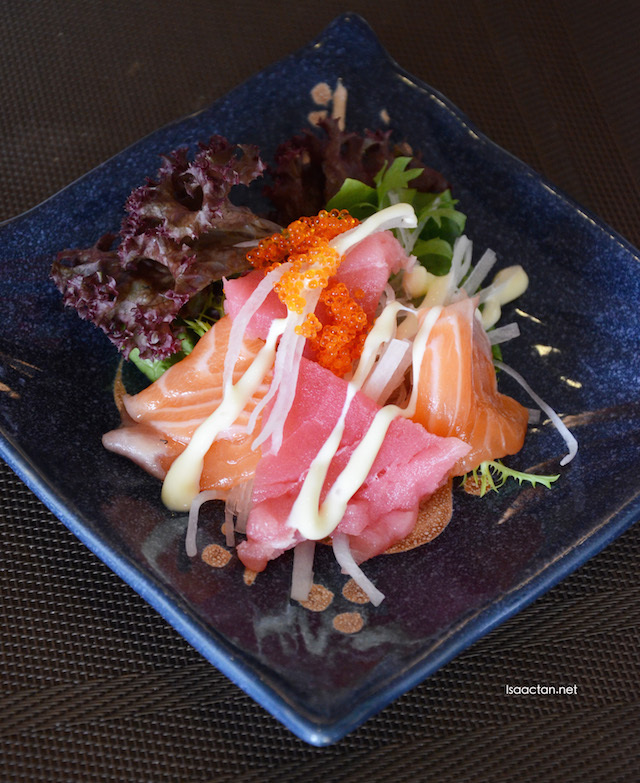 yum yum ^^ Sashimi Salada make me fall in love with japanese food again ! Small portion of food but looks very tempting! Must be yummy! It was nice seeing you here and your blue hair! The new lunch set is really satisfying and good too!